The holiday season brings many opportunities for businesses to increase sales, increase brand awareness and be a part of a huge, nationwide campaign and focus. As the season approaches it’s important to start thinking about how you will involve your business in the shopping excitement surrounding the holidays. Many business owners aren’t sure where to start or approach their planning. The reality is that once you have a roadmap to follow, you’ll know exactly what pieces need to go into place. So, what should you be doing? New Customers: Running special promotions or advertising to people who are shopping for events like Small Business Saturday can be a great way to attract new customers. Existing Customers: 70% of companies say it’s cheaper to retain a customer than acquire a new one.1 With that in mind, run a report from your database to find your best customers and offer them a special rate or coupon as a thank you. Your Community: You might also consider focusing your time on awareness for your business. In this case, you could spend some time optimizing your website and then promoting it online and in your community at local events (bring your mobile card reader if you plan to sell at the event). 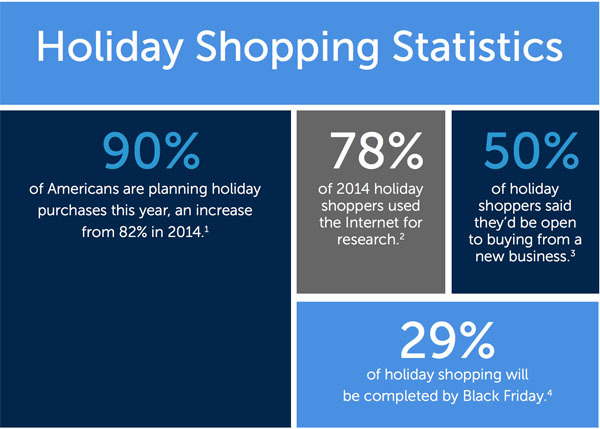 Once you know whom you’d like to reach, you can then determine how your business will participate in events like Black Friday, Small Business Saturday, and Cyber Monday. 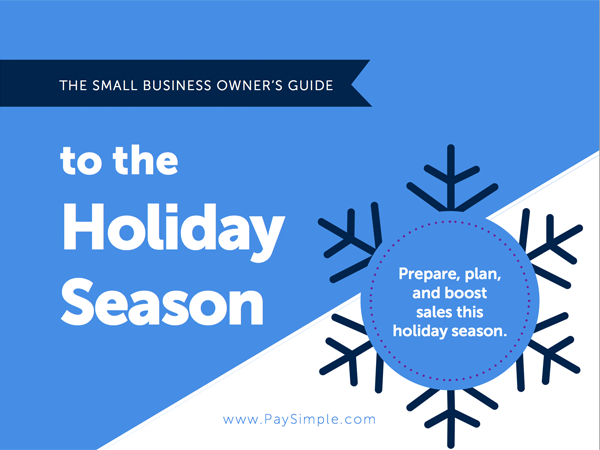 For steps 2 – 4, get instant access to our free guide to the holidays (no email needed).